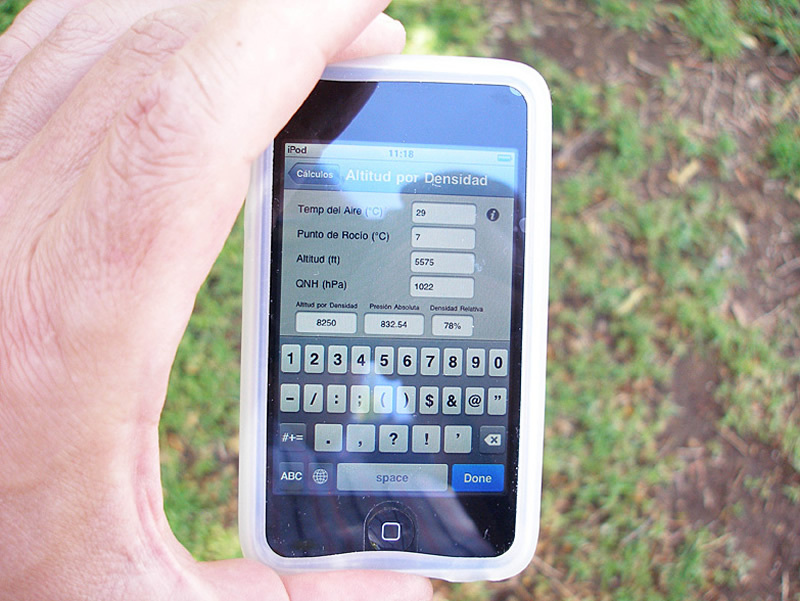 The revised language makes it clear that a pilot who has failed to maintain instrument currency for more than six calendar months may not serve as pilot in command under IFR or in weather conditions less than the minimums prescribed for VFR until completing an instrument proficiency check. A pilot whose instrument currency has been lapsed for less than six months may continue to reestablish instrument currency by performing the tasks and maneuvers required in paragraph (c). January 31, 2012: A pilot is no longer instrument current because they no longer meet the recent experience requirements found in 61.57 (c). This pilot may no longer act as pilot-in-command (PIC) of an aircraft operating under IFR or in weather conditions less than the minimums prescribed for VFR. February 1, 2012 to July 31, 2012: The pilot has between these dates in order to obtain the recent experience requirements found in 61.57 (c). 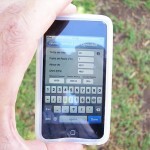 This experience may be obtained through instruction, the use of a safety pilot, or through a simulator / training device. 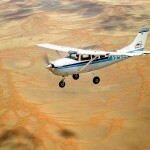 August 1, 2012: If by this date the pilot had not regained instrument currency, the only method by which a pilot may become instrument current again is by obtaining an IPC. Congratulations to Anup Kumar who added another class rating to his ATP. 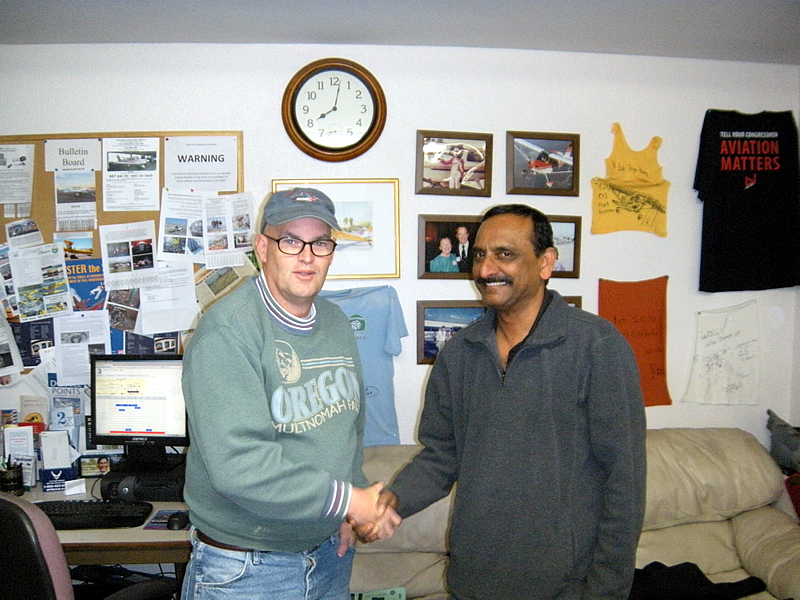 Anup worked with AeroDynamic instructor Rich Digrazzi to prepare and then earned his Single Engine ATP in our Cessna 61637 with Examiner Jim Currier. Anup already has his ATP for helicopters and multi engine airplanes and now completes the airplane category with single engine. Well done Anup, and thanks also to Rich. 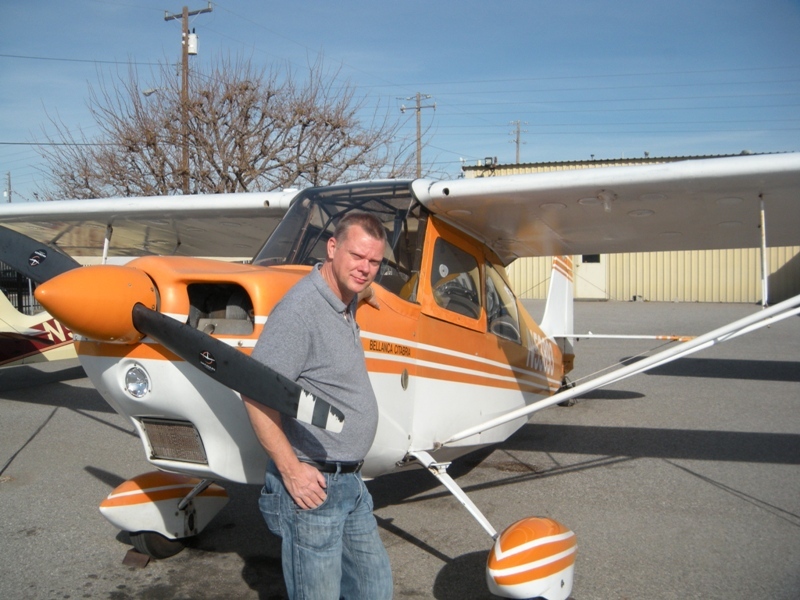 Ben is an experienced CFI, teaching at AeroDynamic Aviation Salinas, but he never had a chance to get his tailwheeling badge till now. Congratulations Ben, next comes the back seat checkout! 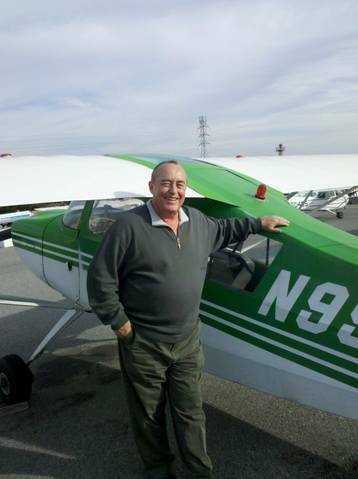 Congratulations to Eddie Seymour for earning his tailwheel endorsement while flying Citabria N53893 with AeroDynamic Aviation CFI Rich Digrazzi. 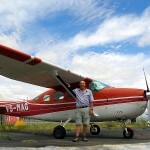 Congratulations to Vasily Kuntsevich for soloing Cessna 172 N98485. Vasily came to us all the way from St. Petersburg. 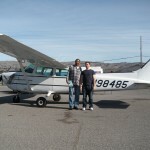 Through intense training with CFI Godfrey Watson, Vasily has now soloed. Well done to both student and CFI! The final fledgling of the first Friday in 2012 was Armin Monajemi. 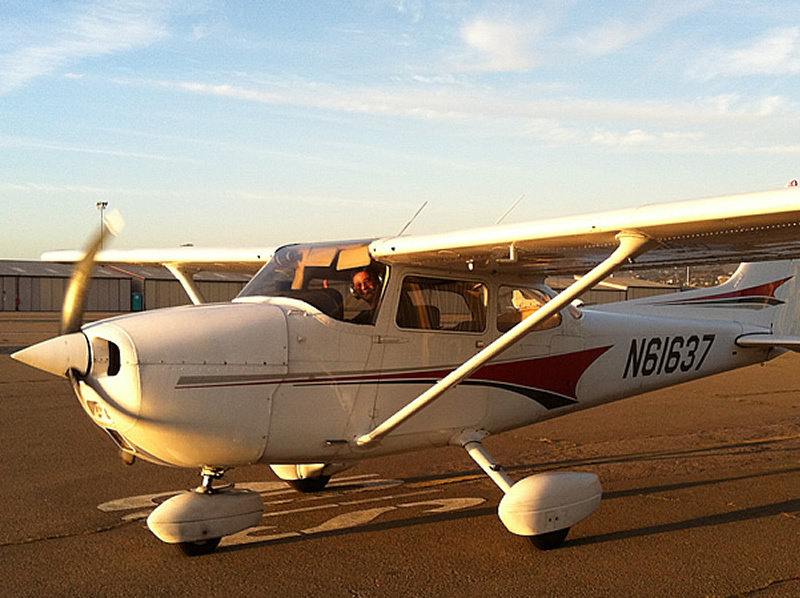 It was a beautiful late afternoon at Reid Hillview airport when Armin took Cessna 637 up for three great takeoffs and landings while his CFI Jen Delp-Mallett watched from the ground. Congratulations Armin, and well done also to his instructor Jen. Two solos on the same afternoon! 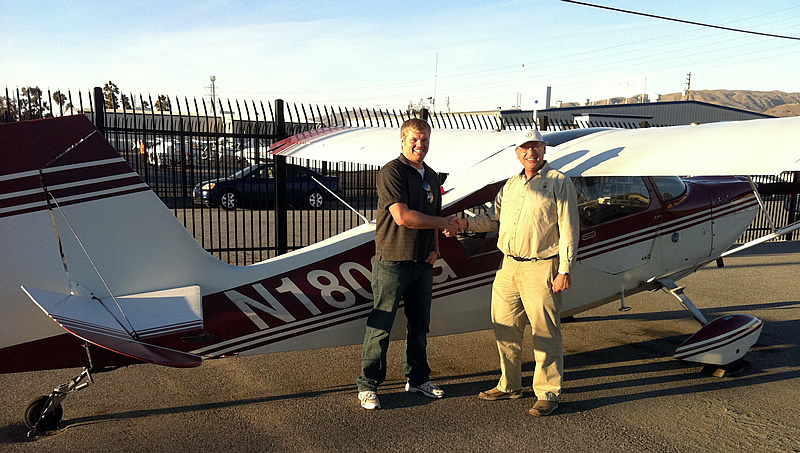 The first solo was Mike Bergeson in Citabria 990WY. 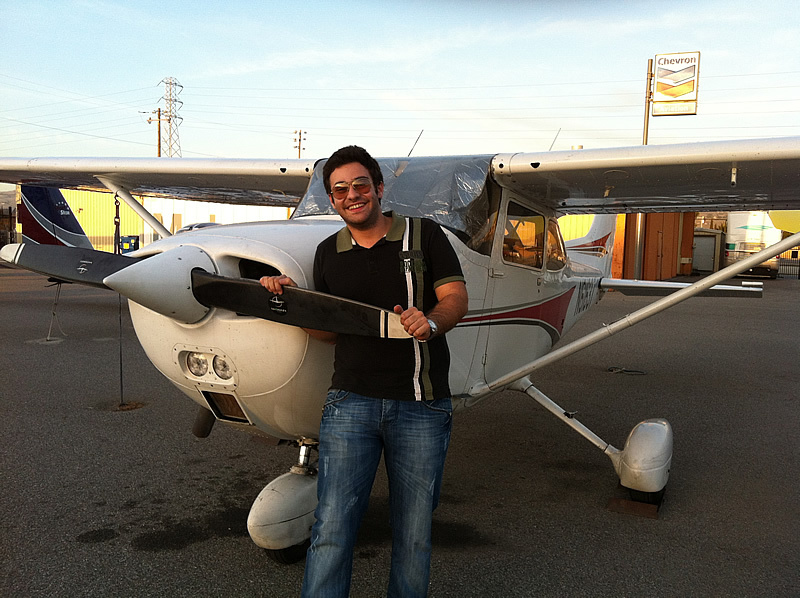 Watched closely by his CFI Rich Digrazzi, Mike successfully completed three solo takeoffs and landings. 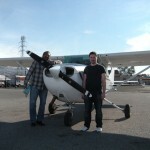 Mike is already a helicopter pilot, and now he can also fly fixed wing. Well done Mike! Enrique Guallart Furio gets Namibian license! AeroDynamic pilots range far and wide. 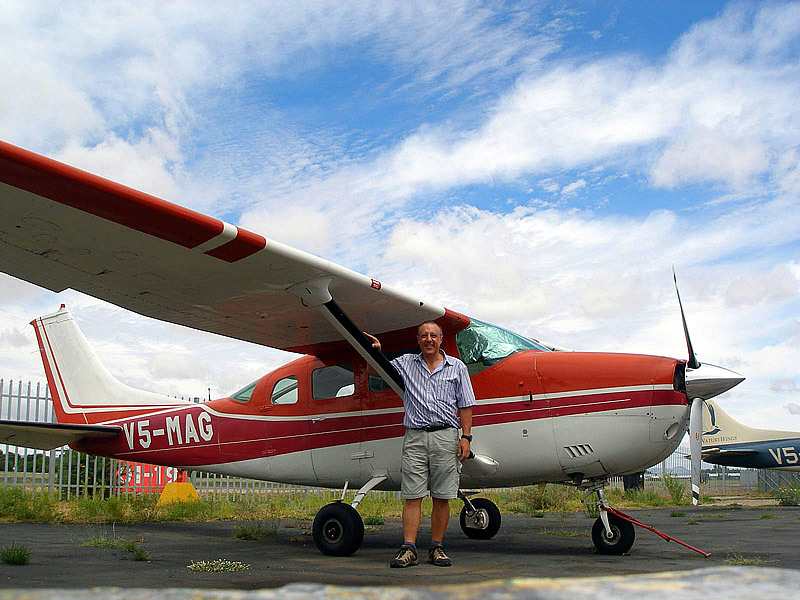 Congratulations to Enrique Guallart Furio who recently got his Namibian pilot’s license. 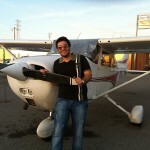 Enrique has visited us several times from Spain to train, gain experience and fly around the US. 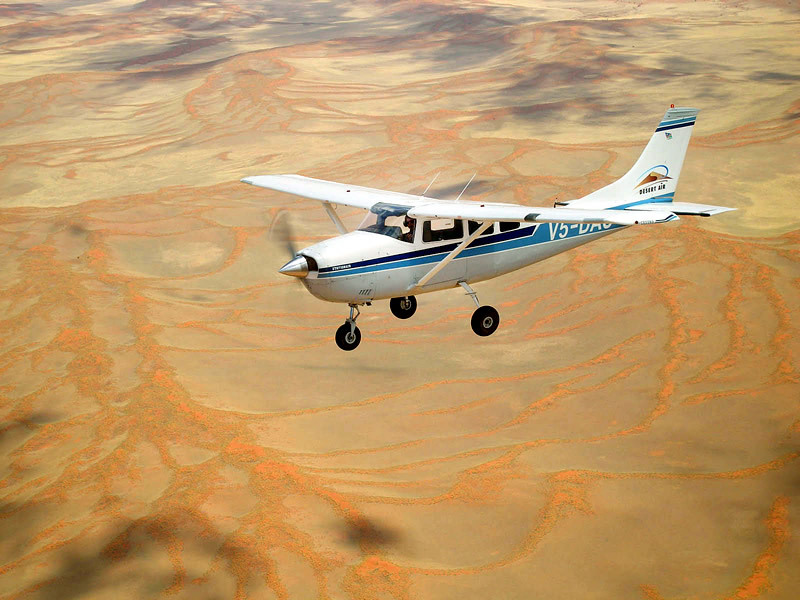 When the opportunity arose to fly with a friend in Namibia, Enrique jumped at the chance, qualified to fly a Cessna Stationair and got his Namibian license. The very first endorsement of the New Year happened in Salinas on New Year’s Day. 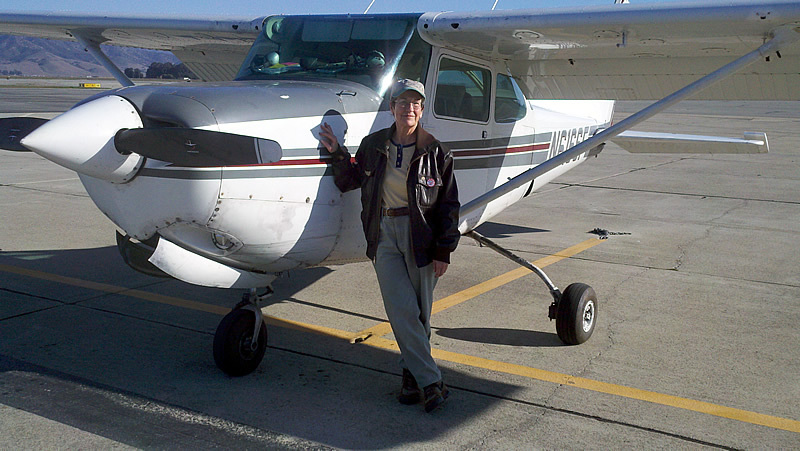 Mona Kendrick earned her Complex Airplane sign off in our Cessna 172RG, N616SF, from Instructor Tom Conklin. 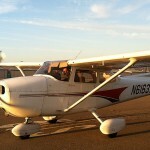 Mona’s next goal is to get her Commercial Pilot License. Well done Mona and a Hapy New Year to you! 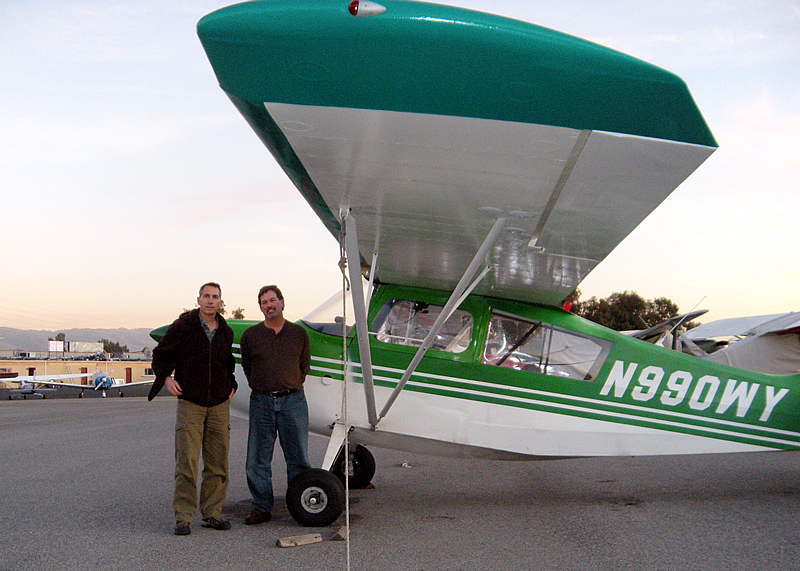 Congratulations to Bruce La Fountain who earned his tailwheel endorsement, and also the distinction of the last AeroDynamic endorsement in 2011, with CFI Rich Digrazzi. Well done Bruce and Happy Taildragging in the New Year!